I learned that the term cows only refers to female cattle. How did I learn that, you ask? 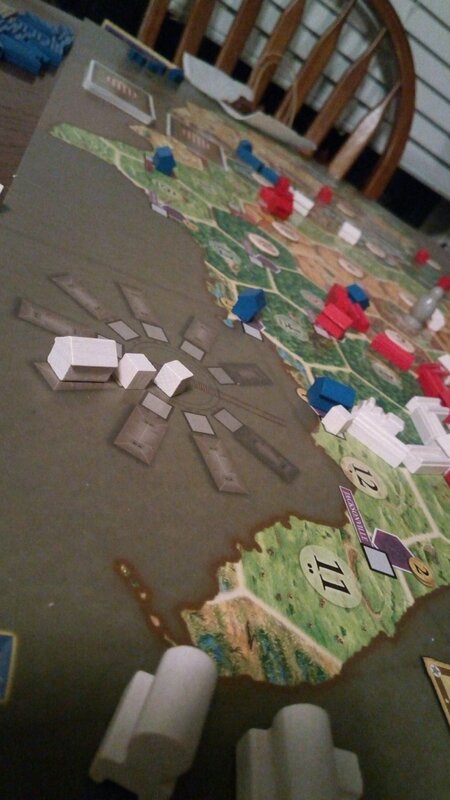 This evening I had the opportunity to play Catan: Settlers of America. Overall, it was a nice change from the original Catan or any of the expansions. 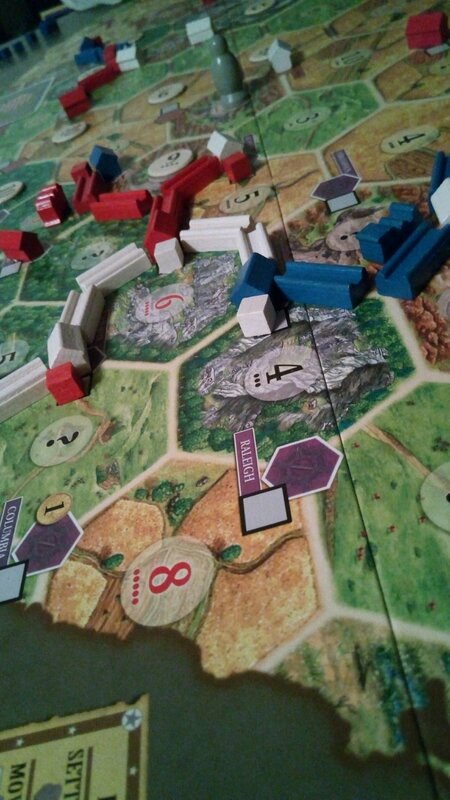 It was useful to have played Catan before though because it enabled us to skip over some of the rules. It wouldn’t be impossible to learn though because the rule book is very thorough. 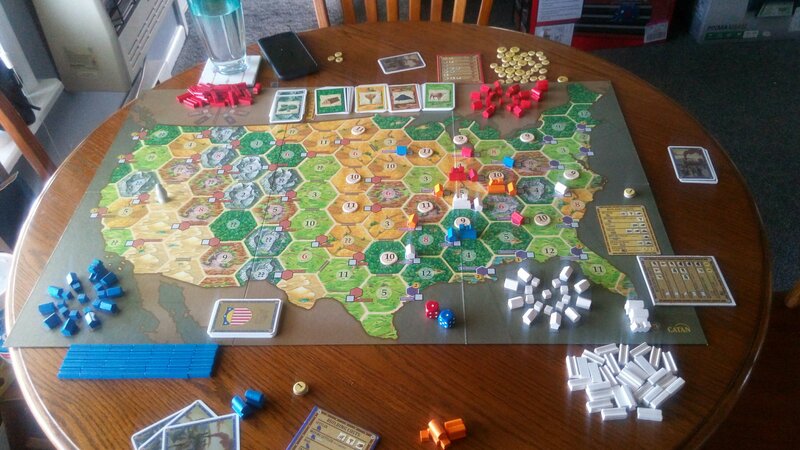 The gist of the game is similar to the original Catan, but it is set in the United States. Players try to build cities farther Eastward and deliver goods to other player’s cities. The concept is fun because you can recognize cities that you know. It would allow families to discuss history of the Westward expansion. The rulebook explains the history in the almanac. 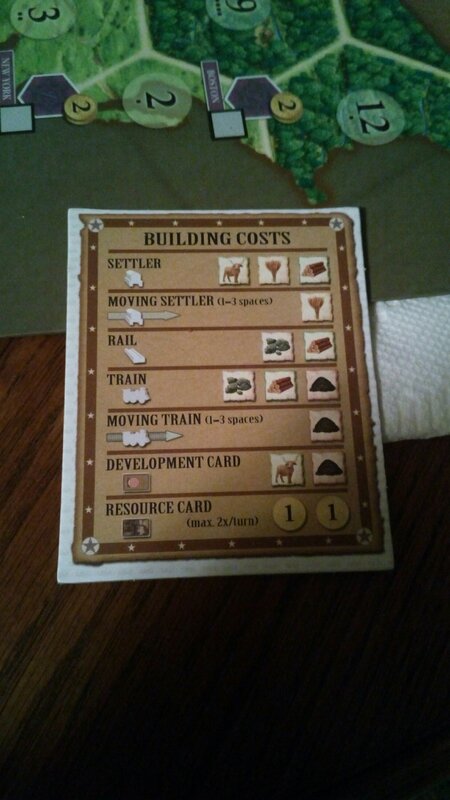 One nice addition from the original Catan is the resource bonus. If a number is rolled and you don’t have that resource, you get a gold coin. The gold coins can buy resources or help you travel. The game is very long. With three players we spent 3 hours playing the first time. Of course some learning time was factored into that. The game is easily modified to be shorter though. We played a second time with only half of the original goal and spent half of the time. Unfortunately it only allows for 3-4 players. We also couldn’t find an expansion option. The board is so large already that expanding it would be hard. Personally, I found the pieces a bit large and unwieldy. By the time you get a city, wagon, train, and rail on an intersection it’s quite crowded. Unlike other Catan games where I find development cards to be an annoyance, development cards in this game make a huge difference. They allowed me to win the first time by letting me build two free roads. I look forward to playing this game again in the future.